Note: CAPSO is a non-partisan, nonprofit organization,and does not endorse candidates for public office. 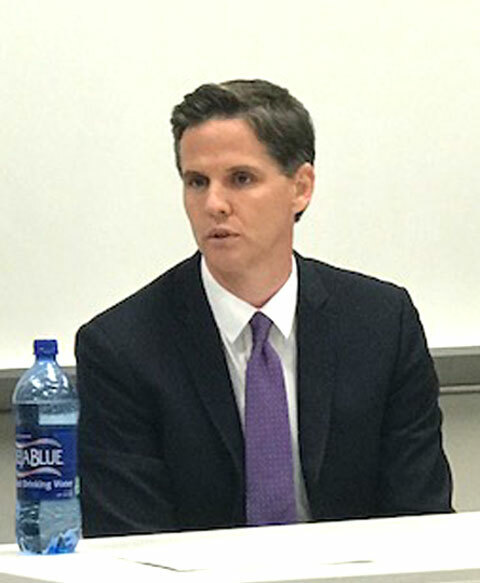 On August 29, 2018, the two candidates for the office of State Superintendent of Public Instruction paid separate visits to CAPSO’s board of directors to share their personal stories and visions, discuss the role of private schools within the broader landscape of K-12 education, and answer questions on a range of issues. State Assemblymember Tony Thurmond and Marshall Tuck, both Democrats, emerged as the two leading vote-recipients in California’s June 5 primary election, and are currently locked in a tight race to succeed Tom Torlakson as the Golden State’s next chief education officer. Each candidate shared tidbits of information about his background. Mr. Tuck attended Catholic schools in grades K thru 5, while Mr. Thurmond noted that his sister attended a Seventh-day Adventist school. Both pointed to career changes. Mr. Tuck soured on an early stint in finance in favor of service work in Thailand and Zimbabwe before becoming an educator and charter school leader. Mr. Thurmond pointed to the impact of his background as a social worker on both his commitment to public service as a legislator, and his appreciation for the importance of education. Both men, Mr. Thurmond as a social worker, and Mr. Tuck as a charter school executive, have spent years working with children and families living in poverty and struggling to succeed in school, and in life. Each believes he can make a real difference as the next State Superintendent of Public Instruction. “I don’t differentiate about where families make the decision to send their kids. I want to do whatever I can to support the education of all our kids.” So said Mr. Thurmond, adding that he has sponsored legislation that would underwrite the cost of education for anyone wishing to become a teacher, as well as legislative efforts to address the challenge faced by teachers in accessing affordable housing. “There are ways to do partnerships that will make that possible for educators regardless of where they teach,” he added. A New Structure Within the CDE? When queried about the use of tax policy to support investment in education, Mr. Thurmond expressed support for SB 1214, a recent bill aimed at providing teachers with an “above-the-line” state income tax deduction for expenses related to “clearing” their teaching credentials. He also identified legislation designed to make it possible for high school students to enter into dual enrollment arrangements in which they could complete community college courses on their campuses at no cost to participating pupils, regardless of whether they attend public or private schools. Mr. Thurmond probed his private school audience to determine whether, and to what extent the growth of charter schools has contributed to a diminution in private school enrollment. One private school leader responded that “It’s hard to compete with schools that say they’re doing many of the things that we (i.e. private schools) do, but charge no tuition,” and there was general agreement that charters posed a challenge. 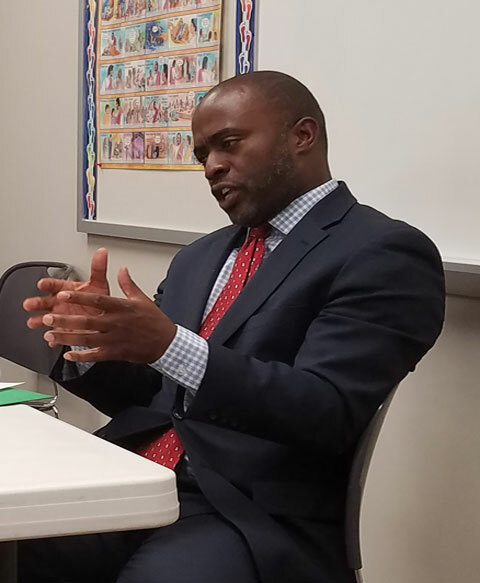 “I haven’t come out in direct support of a moratorium,” Mr. Thurmond said, but added that he’s considering the need to “take a break” while reassessing current laws and practices.